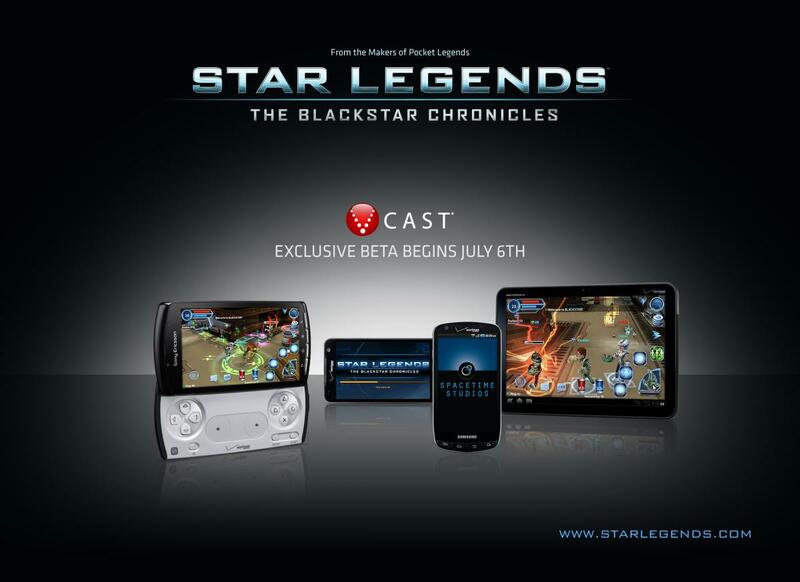 Star Legends: The Blackstar Chronicles beta launches, we have 50 keys to give away! 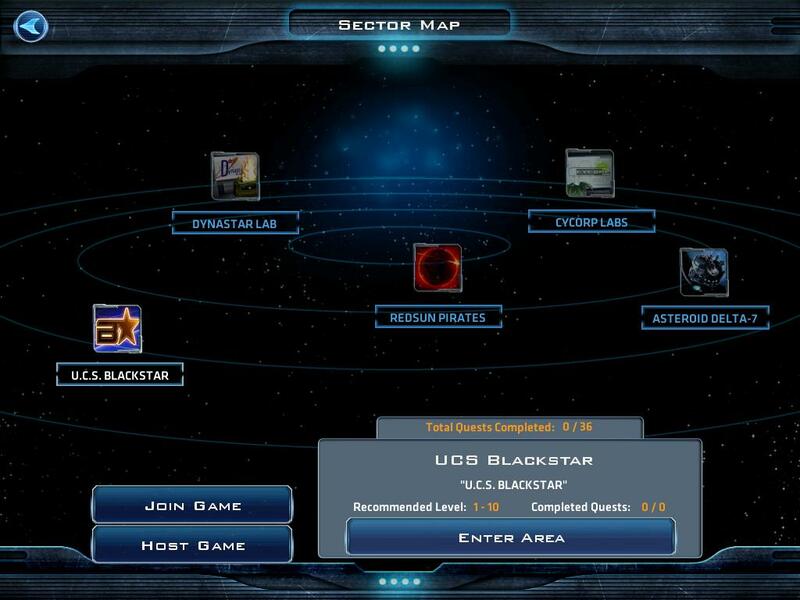 Spacetime Studios has released the beta of Star Legends: The Blackstar Chronicles, the new sci-fi MMO and Android Central has 50 beta keys to give away. You might recognize the name Spacetime Studios, as they're the folks behind Pocket Legends -- another great MMO for Android. This time around you'll play as a hero in the 41st century, against other players and the alien race known as the Vular. You can choose from three different character classes, each with different strengths and weaknesses, for loads of exciting gaming. If you're a Verizon subscriber, you can find Star Legends via VCast. If you're not a Verizon user (or if the first thing you do is yank VCast off your phone), you'll either have to wait until the beta period is over (that's July 20) or win one of the 50 keys we're giving away. If you're selected, you'll get the beta key and download link so you can install and play while the rest of us are waiting. Have a look at some of the gameplay screens, the press release, and the official trailer after the break, and visit this link in the Android Central forums for a chance to win. AUSTIN, Texas – July 6, 2011 – Spacetime Studios has launched a beta program for its mobile sci-fi MMO Star Legends: The Blackstar Chronicles, exclusively in V CAST Apps – Verizon Wireless’ mobile application storefront that delivers thousands of apps, games and more to Verizon Wireless customers. The exclusive V CAST two week beta period is planned for Wednesday, July 6 through Wednesday July 20 and is available on many Verizon Wireless Android powered devices. 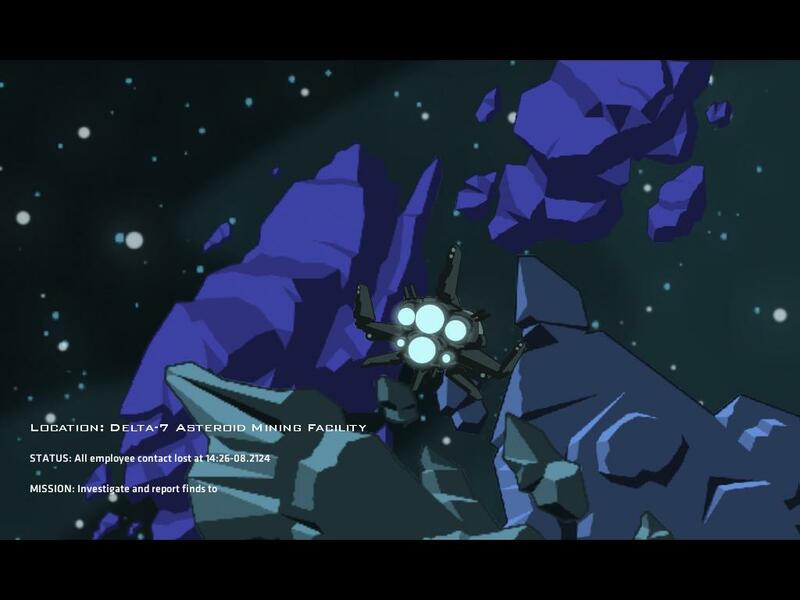 As part of Spacetime Studios’ ongoing partnership with Sony Ericsson, the game has been optimized for Sony Ericsson Xperia™ PLAY. Star Legends players on Xperia™ PLAY devices can expect native device control support that delivers an exclusive and unique play experience. Set in a distant galaxy during the far-flung 41st century, this initial story arc of Star Legends: The Blackstar Chronicles pits space-faring, privateer humans against their own treachery and the alien menace known as the Vular. 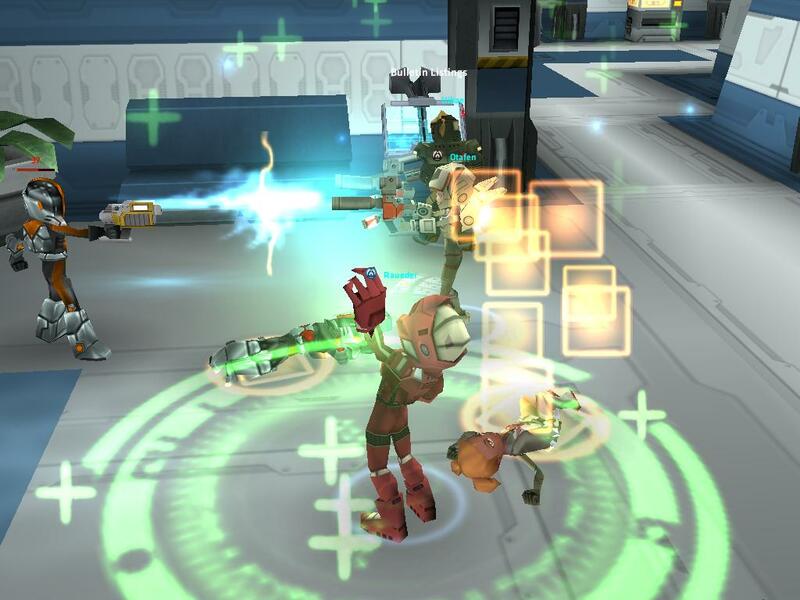 Players take on the role of a space-age hero and can select from three classes, each with its own particular strengths: Commando, Engineer and Operative. In their quest for adventure, fame and fortune; players must battle harsh, alien environments, monstrous, unthinking aliens, and the greed and ambition of their rivals. 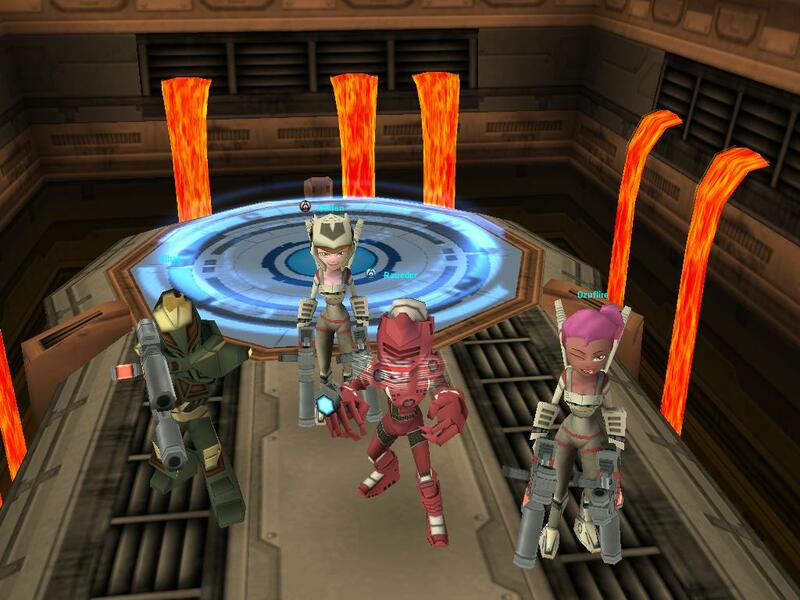 Star Legends: The Blackstar Chronicles is the second title in the popular Legends franchise. The first game,Pocket Legends, is the world’s largest mobile MMO with more than four million downloads. Star Legends is free to download and play. 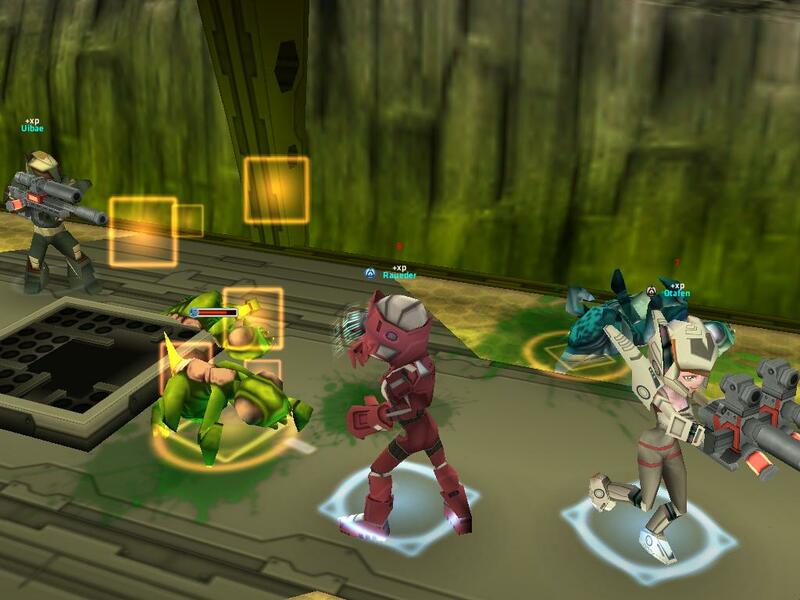 The game features optional microtransactions and virtual currency that can enhance the play experience with vanity items and costumes. The game will be available for many Android devices including DROID Charge by Samsung, Sony Ericsson Xperia™ PLAY, Samsung Fascinate™ and LG Revolution. Download charges vary and airtime or megabyte charges may apply when browsing, downloading and using certain applications. V CAST Apps enables customers to discover, purchase, and use apps with a simple one-click process and offers the ease and convenience of direct billing – apps purchased are invoiced on customers’ monthly bills. For more details visit http://www.starlegends.com. For more information about Verizon Wireless products and services, visit a Verizon Wireless Communications Store, call 1-800-2 JOIN IN or go towww.verizonwireless.com. Spacetime Studios is an independent game development studio located in Austin, Texas. The company was founded in late 2005 by online game veterans Cinco Barnes, Gary Gattis, Jake Rodgers and Anthony L. Sommers. 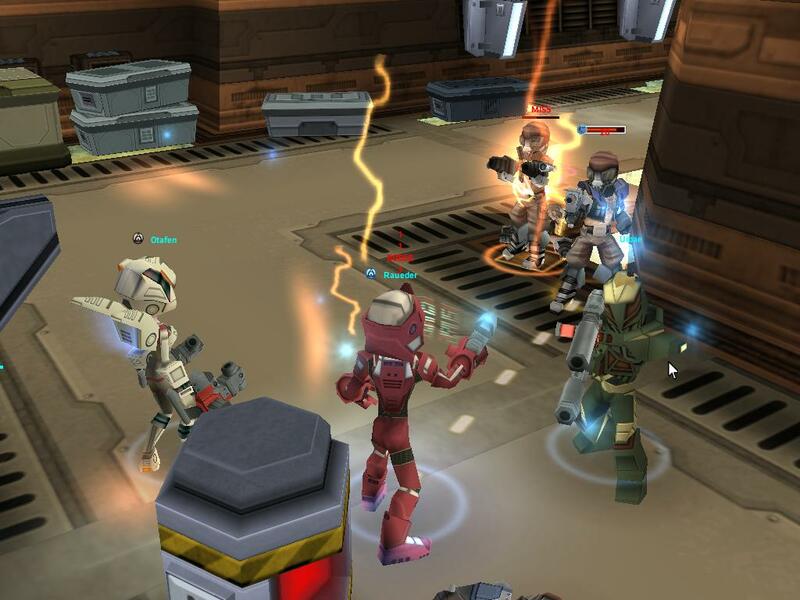 In 2010, Spacetime released Pocket Legends, the world’s first cross-platform, 3D, persistent mobile MMO. The company continues to expand its content and technology lead in the mobile multiplayer market. Spacetime has been recognized by Develop as one of the world’s 100 most successful game studios. Spacetime Studios, the Spacetime Studios logo, Star Legends: The Blackstar Chronicles, and all associated artwork and designs are trademarks or registered trademarks of Spacetime Studios, Inc. Apple, the App Store, iPod touch, iPhone, and iPad are trademarks of Apple. Android is a trademark of Google Inc.
All company and product names may be trademarks of the companies with which they are associated. Verizon Wireless operates the nation’s fastest, most advanced 4G network and largest, most reliable 3G network. The company serves 104 million total wireless connections, including more than 88 million retail customers. Headquartered in Basking Ridge, N.J., with 85,000 employees nationwide, Verizon Wireless is a joint venture of Verizon Communications (NYSE, NASDAQ: VZ) and Vodafone (LSE, NASDAQ: VOD). For more information, visit www.verizonwireless.com. To preview and request broadcast-quality video footage and high-resolution stills of Verizon Wireless operations, log on to the Verizon Wireless Multimedia Library atwww.verizonwireless.com/multimedia.